Wild TING (Thursday Interpretive Nature Group), formerly the Thursday Interpretive Bushwalks Group, meets on Thursdays during term time with, usually, no activities in school holidays. Our walks set a leisurely pace with lots of time to stop and look at birds and plants and other wonders of our native bushland along the way. They are usually half day walks with a leisurely lunch at a restaurant and café afterwards. Sometimes the Blue Mountains are left behind for the city where we visit pockets of remnant bushland and/or learn about the interesting history of Sydney and suburbs. Sometimes we organise a three or four day trip away to coastal or inland locations. The activities are organised and led by volunteers who appreciate the natural environment and want to encourage others to do the same. When somebody loves and understands their natural surroundings they are more likely to want to protect them. At the time of writing there are several people who have been regular participants since the walks began 20 years ago or not long afterwards. Over the years, time and distance have slowed many people down. Nowadays the group has been nicknamed "The Thursday Dawdlers". Those who require longer, faster, or more difficult bushwalks are catered for in the Society's bushwalking program. 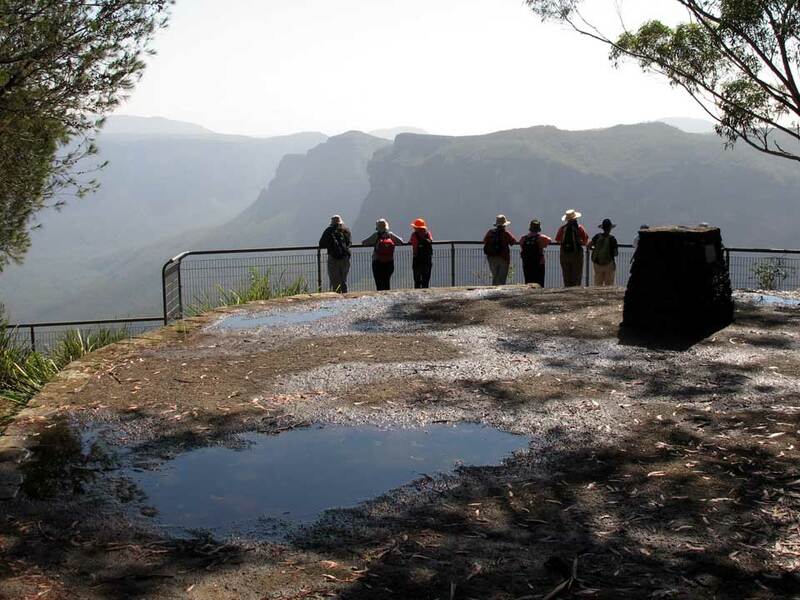 Participants are members of Blue Mountains Conservation Society and are required to pay an annual bushwalking insurance fee and to follow the Society's bushwalking guidelines. There is a limit to the number of participants and sometimes a waiting list.